I have to tell you, though, I couldn’t be more excited about my fill-in assignment! It’s my friend Wendy from A Day in the Life on the Farm! I’m so excited, because Wendy is not only a blogging and SRC friend, she’s a friend in real life, too! Wendy is actually my mother-in-law’s best friend, but since I joined the family nearly 10 years ago, she’s been my friend, too. You can’t meet a kinder person than Wendy, I am so blessed to know her and to get to visit whenever we visit my husband’s hometown (which, unfortunately is only once a year or so – boo to living so far away!) In fact, I introduced Wendy to blogging & SRC, and she introduced me to Cook the Books Club and Food ‘n Flix! 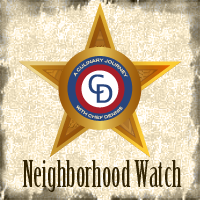 A bit more about Wendy: she and her husband are both retired police officers who now live on 12 acres and strive to eat as locally as possible. In fact, she even raises her own chickens, turkeys, and pigs! Wendy & I also share a love of good books; I share monthly reading posts and she reviews them as she reads them! Though I have tons of Wendy’s recipes pinned, time was short and I have always admired her year of pizza challenge, so I was immediately drawn to the pizza recipes. Then it was a matter of narrowing it down. I really wanted to make Wendy’s Prosciutto, Salami & Mozzarella Stromboli, but I forgot to pick up the meats when I went to the store. I also wanted to make Wendy’s Milky Way Martinis, because I’ve had one before and they are phenomenal! But alas, again, no time to run to the store. One of these day Milky Way Martini, one of these days! So instead, I went for all the cheese!!! For the kids, I was inspired by Wendy’s Three Cheese Pizza. Being so close to Halloween, I added mini pepperoni to make the pizza into a spooky black widow spider! The boys loved it! 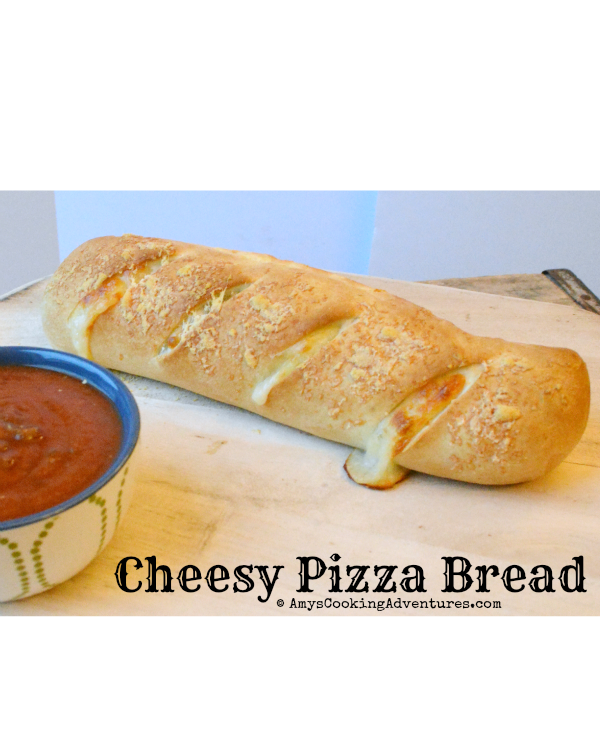 For the adults (the boys get weird about eating lots of cheese), I started off with this amazing cheesy pizza bread! It starts off with pizza dough (I used my favorite dough recipe), slathered in butter, sprinkled with garlic, then covered with cheese and rolled. Then slathered with more butter and some parmesan. It bakes for 15 minutes and comes out of the oven oozing with delicious cheese! 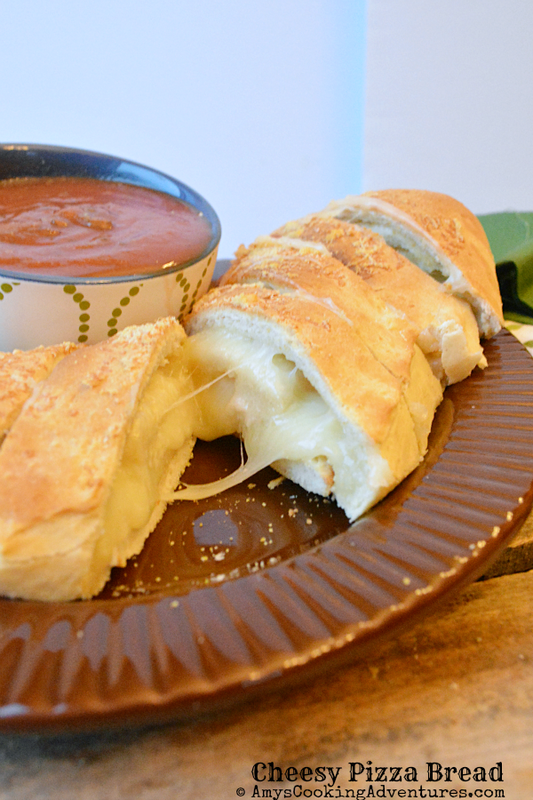 Dip it in pizza sauce or eat it plain, there’s no going wrong with this one! Thank you, Wendy, for a couple amazing recipes! Roll the pizza dough into a rectangle (approximately 12x18 inches). Brush the dough liberally with melted butter, keeping about an inch away from the edges. Sprinkle with garlic powder and mozzarella cheese. Roll the dough, pinching the seams and tucking the ends in once the roll is finished. Use a sharp knife to score the loaf 3-4 times. Brush the top with the remaining butter and sprinkle with parmesan. Sprinkle a pizza stone or pan with cornmeal and place the loaf on the pan. Bake in the preheated oven for 15 minutes or until the bread is browned and the cheese is melted. Slice and serve with pizza sauce. you picked a fantastic, mouthwatering recipe! Amazing to compose such a nice post on short notice, kudos for you! 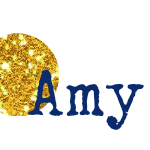 Amy, Thanks so much for all the kind words and also for stepping in to help Rebekah out. You are blessing to all who know you. Oh my goodness look at that gooey cheese! 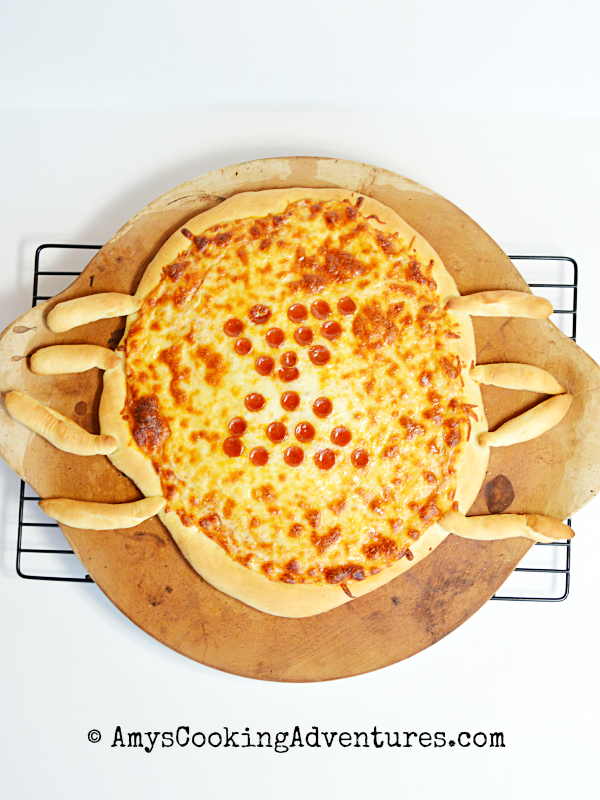 the pizza spider is so cute! That looks delicious! I love cheese, and I love Wendy's blog. Happy reveal day and thanks so much for filling in. 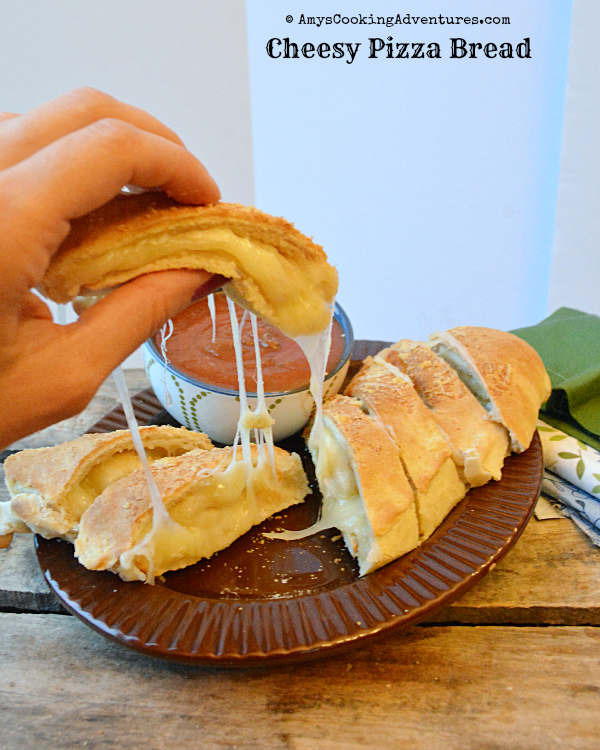 Love all that cheesy goodness! That is super intense! It looks delicious! Great SRC pick! I hope I'm not the only one who things that garlic cheese bread from most pizza places is better than the pizza itself! Stopping in from Group C to say great job! How great is it that you are real like friends too, such a small world! This bread looks amazing. Cheese and bread are two of my favorite things. Thanks for joining Group D this month! Absolutely love your spider pizza! So cute! And such a delicious looking bread.